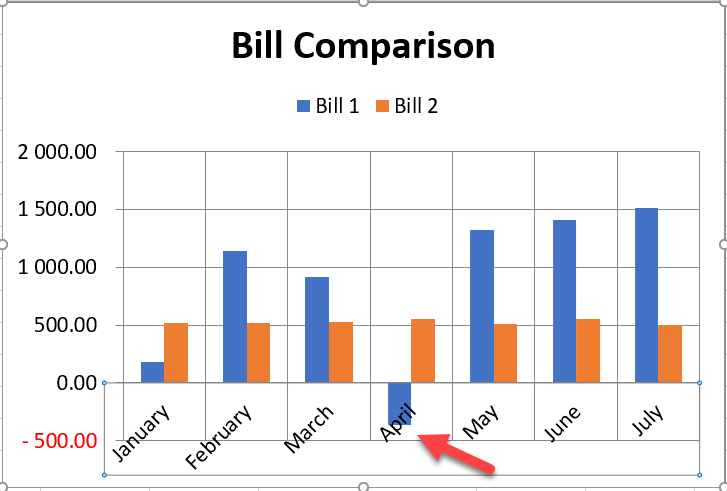 If you build charts in MS Excel you may discover that some charts (especially ones that have positive and negative numbers) don’t look great as the axis labels overlap the data. 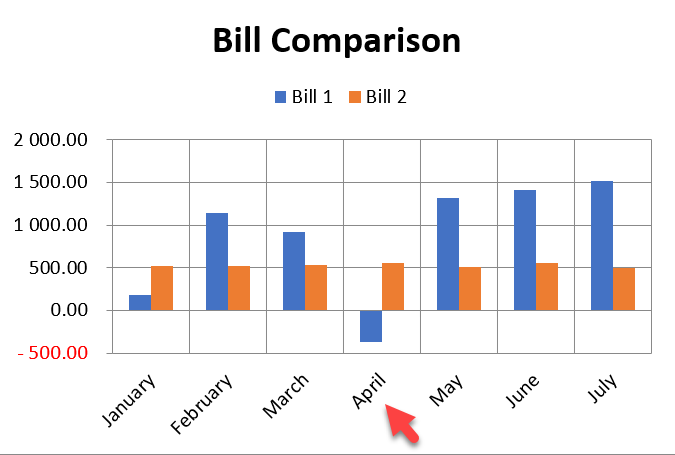 As shown below, the April label overlaps the data for the first bill. There is a really quick fix for this. 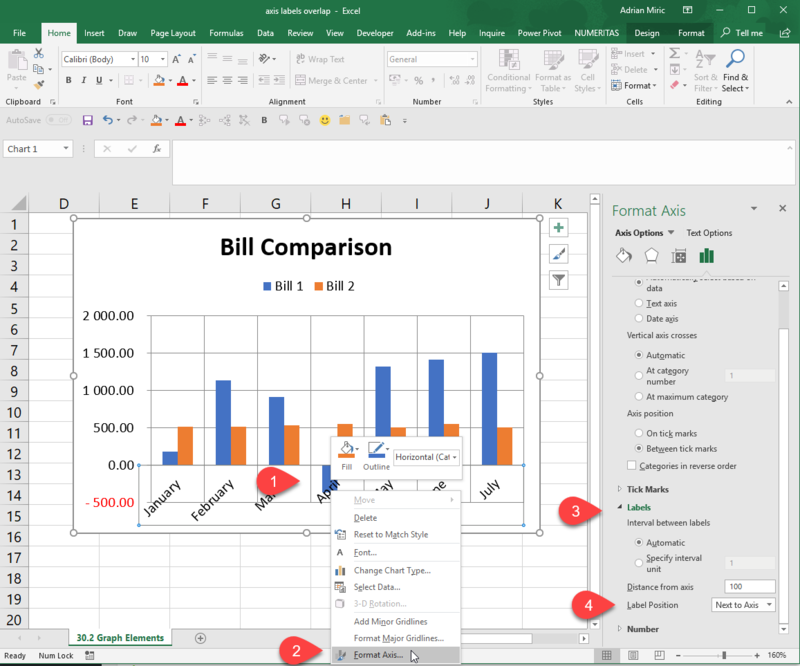 The end result is you eliminate the axis label overlap and it is easier to understand what you are seeing .